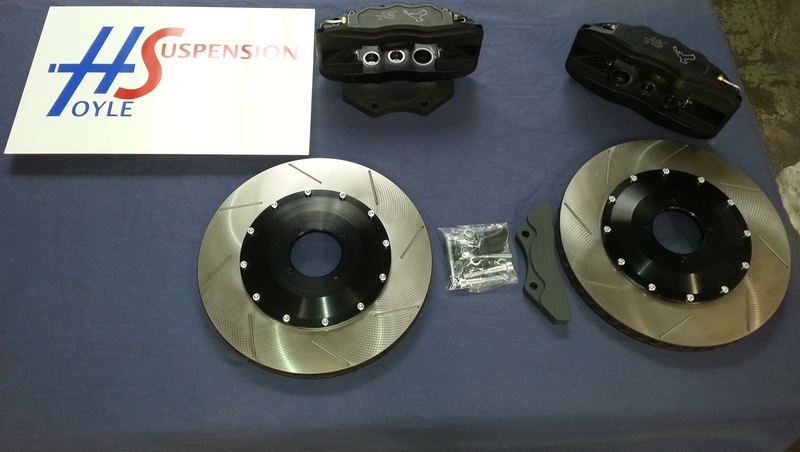 For a full brake upgrade, consider 6 POT Brakes, with lightweight calipers and vented rotors on bells. They are available for MGB and MG RV8, and with the correct wheel clearance (17" rims), 335mm rotors and 28mm thick vented 6 POT is possible. They have been designed with a thicker body than that of the 4 POT calipers allowing the pistons to sit more deeply within the body. The increased thickness of the body gives the caliper extra rigidity which in turn reduces any flex of the caliper under extreme conditions. They have an external fluid cross over and use high temperature EPDM seals as standard. The pads on the calipers are also 33% longer than the 4 POT calipers, giving a greater surface area, in turn increasing surface grip.